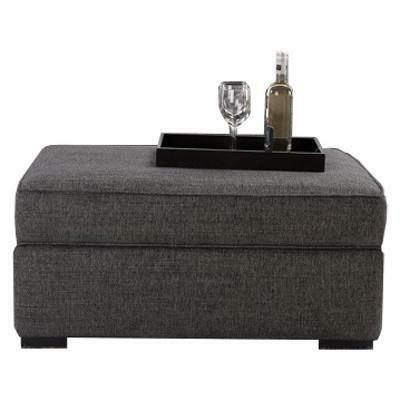 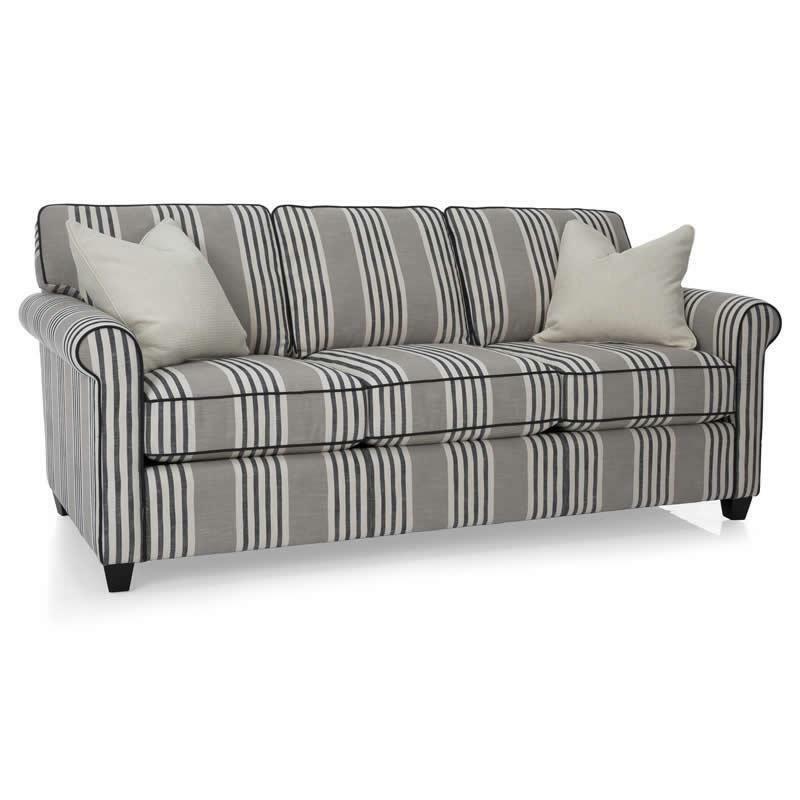 This 2460 Sofa by Decor-Rest Furniture features a transitional style with sock arms and welted details in black contrasting with the white and grey pattern fabric and tapered block feet in dark brown finish. 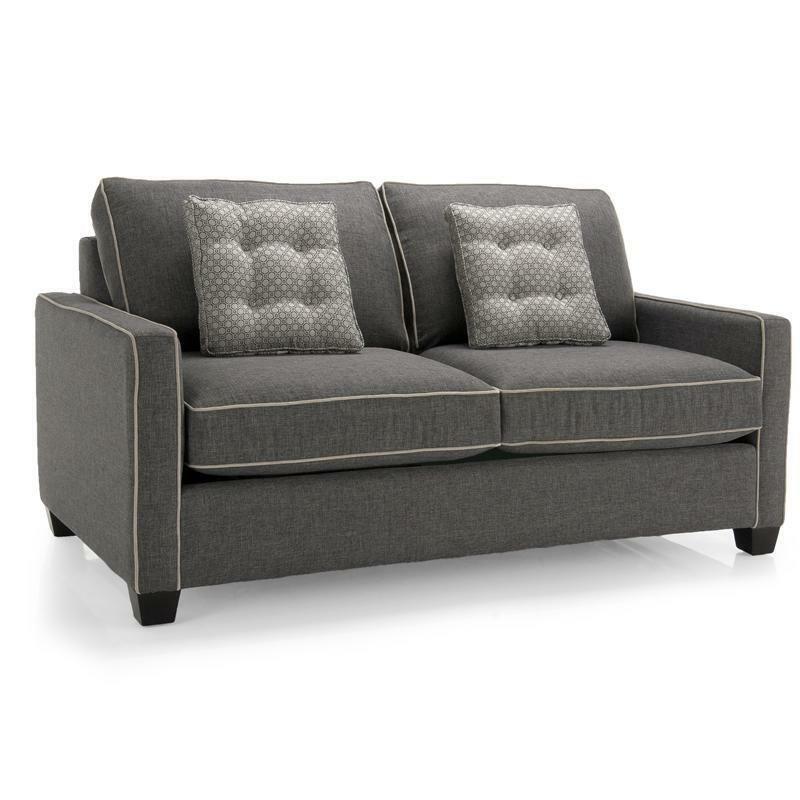 Sit back and relax in this sectional by Decor-Rest Furniture. 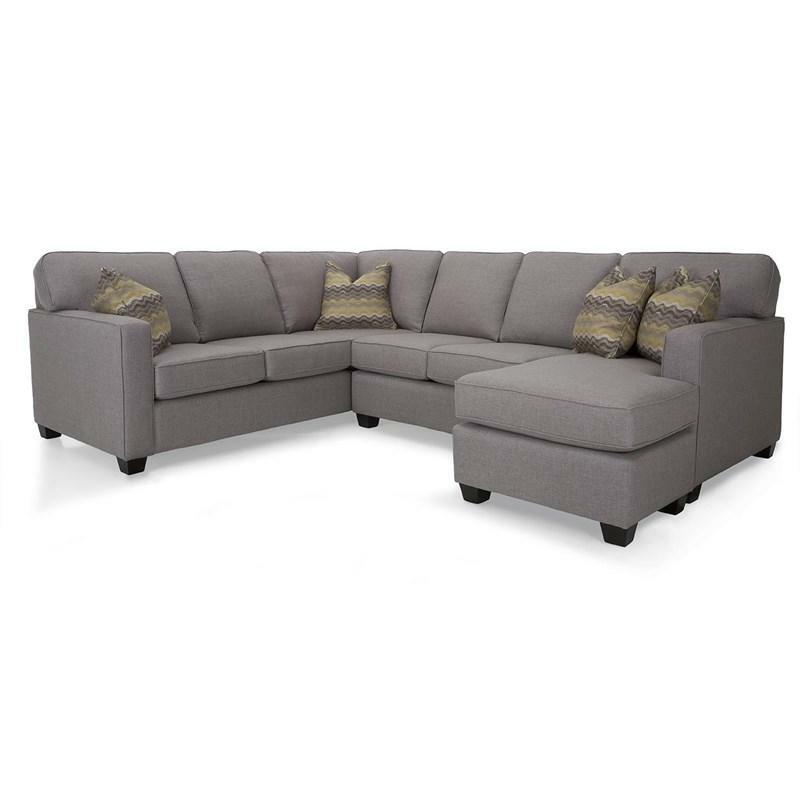 This sectional feature block tapered feet in an espresso finish with track arms and a beautiful grey upholstery in contrast with the toss cushions in swift yellow pattern fabric. 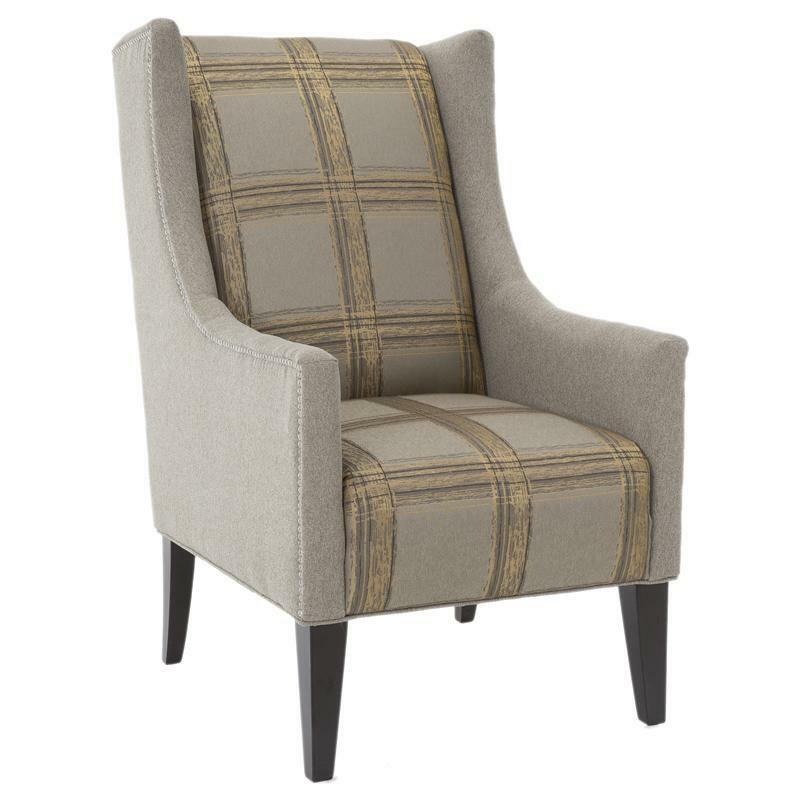 This Chair from Decor-Rest Furniture features turned legs and a grey finished frame. 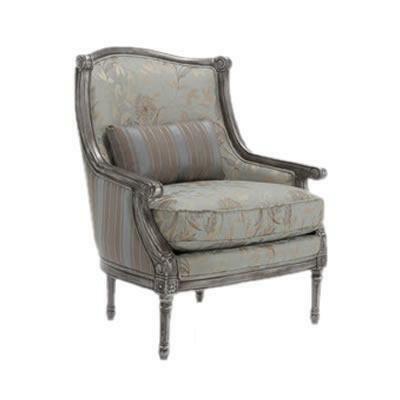 It is upholstered in a Grey fabric. 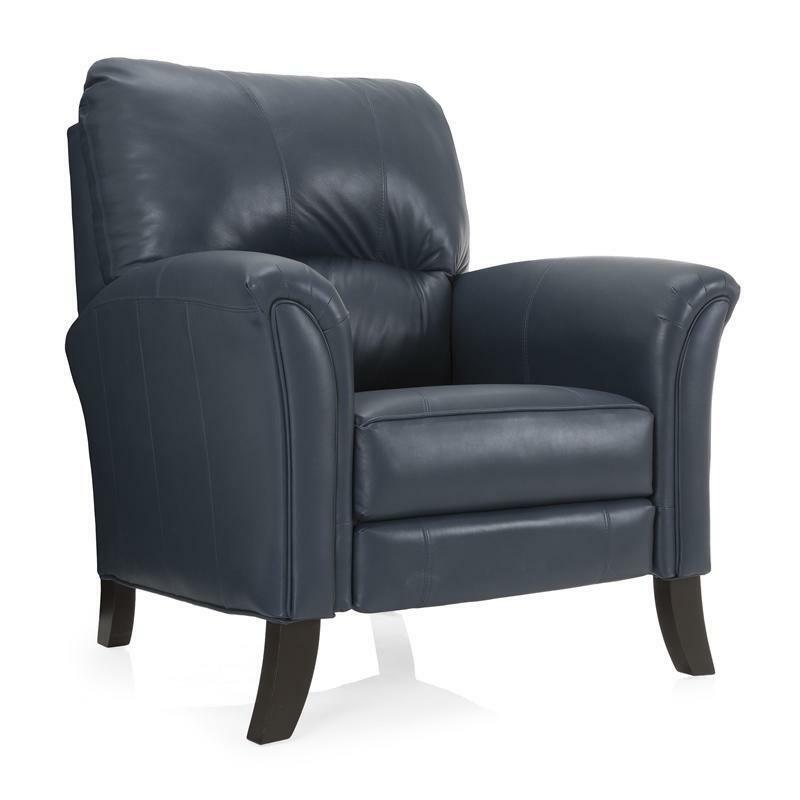 Add comfort and style to your living room with this accent chair by Decor-Rest features sloping arms and tapered feet.